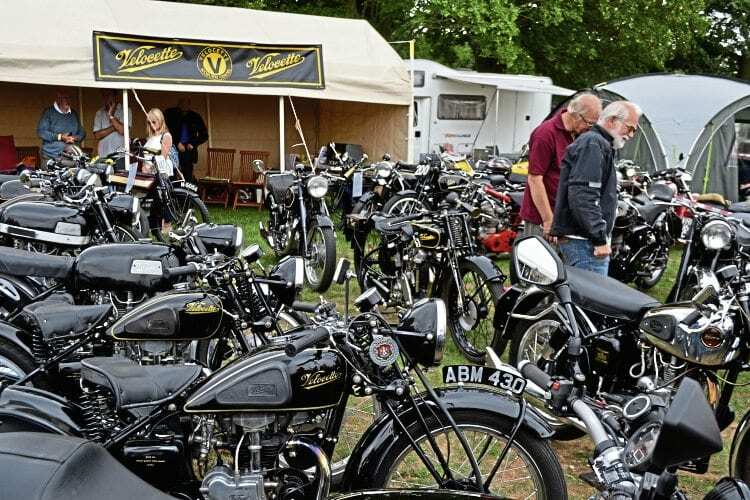 The Vintage Motor Cycle Club’s Founders’ Day has found a long-standing home at Stanford Hall in Leicestershire, for years the ‘go to’ place for many enthusiasts, particularly those interested in the older machines, and, this year, there did seem to be even more people there than usual. A gloriously warm, sunny day probably helped, with the event bathed in what was for much of summer 2018 typical sunshine. 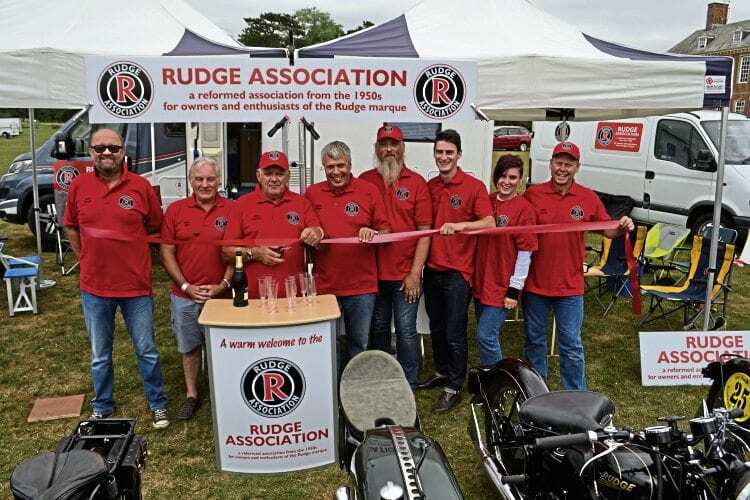 It meant the newly-formed Rudge Association had a sunny gloss for its grand unveiling. A collective rather than a club, Mike Griffiths and friends – all resplendent in glorious bright red polo shirts, the colour of the red hand in the Rudge logo – had a fine display of motorcycles, including Mike Farrall’s ‘BSA’ MC-1 which would have been branded as a ‘Rudge’ if it had ever raced, though it never did, owing to BSA not wanting to be the builder of a non-winning motorcycle. The Rudge Association, resplendent in red polo shirts, had a successful show. The lay-down single stood alongside a couple of Mike Farrall’s other Rudge racers (his successful Lansdowne and BHR racer and the works syndicate bike) as well as a plethora of other examples of the marque. There was a ribbon cutting, cake and ‘fizz’ on the stand too. Previous Post:Sprinting – two classic sprinting events in one!